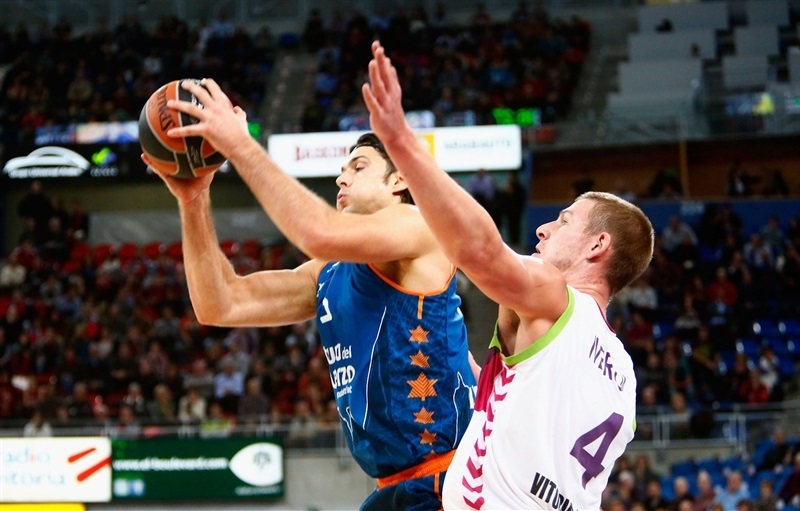 Laboral Kutxa Vitoria shook off Valencia Basket 93-89 to clinch a Top 16 berth. 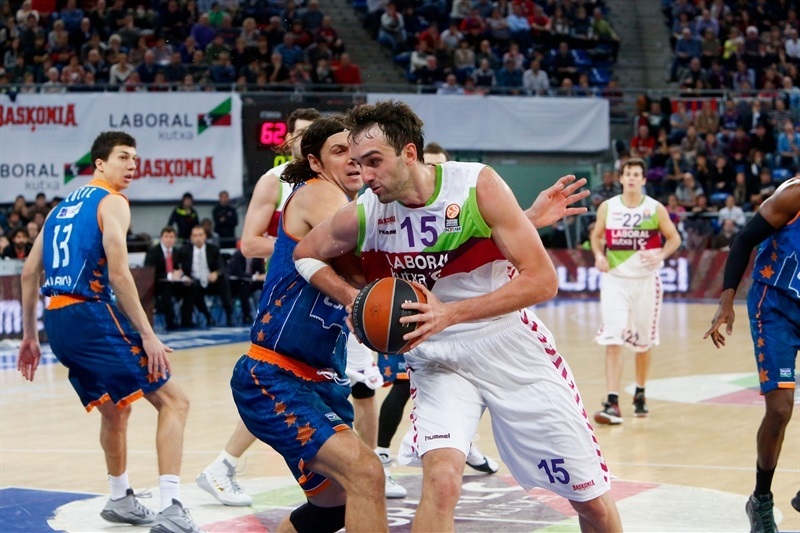 Laboral guaranteed itself one of the top four spots in Group D with the victory that took its record to 5-4. The result sent Valencia’s record to 2-7 and mathematically eliminated it from Top 16 contention. Valencia will continue its European season in the Eurocup Last 32. 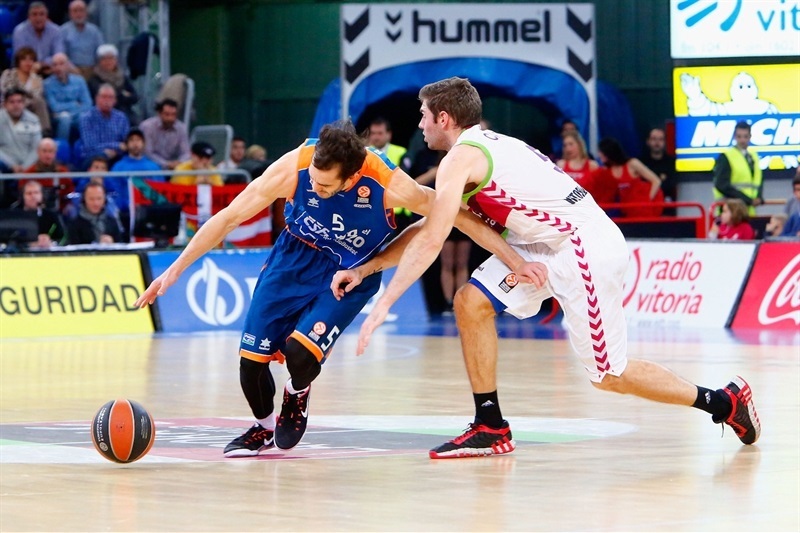 Fabien Causuer led the home team with 21 points, while Toko Shengelia added 15 and Fernando San Emeterio scored 13. Coloton Iverson posted 8 points and 11 rebounds for the winners, who controlled the glass 38-25. 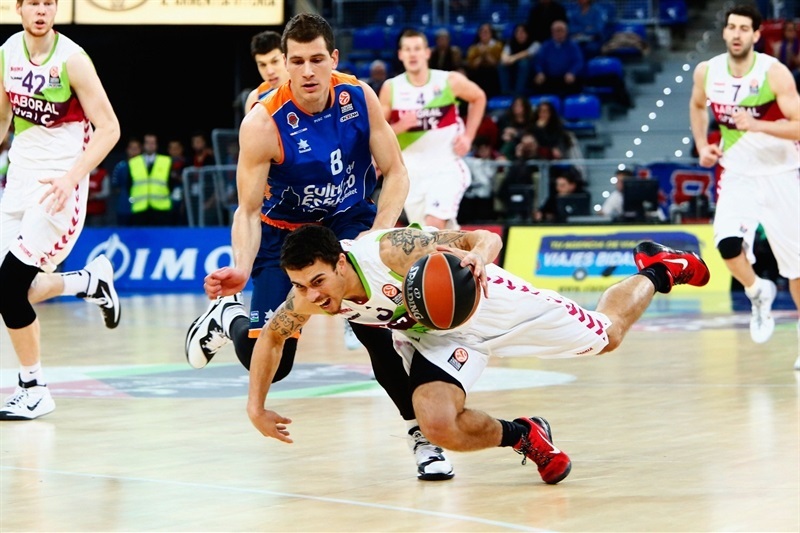 Nemanja Nedovic led Valencia with 17 points, Bojan Dubljevic scored 16, Pau Ribas 14, Guillen Vives 13 and Romain Sato 11. 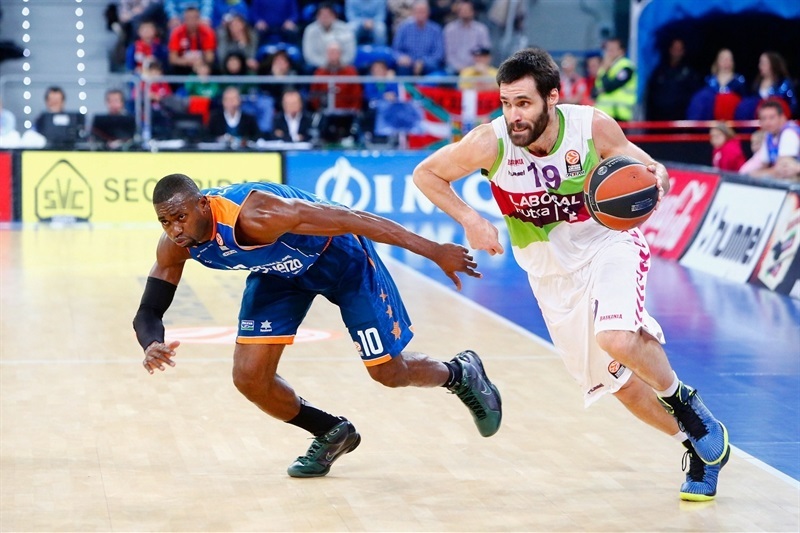 The hosts led 51-47 after a high-scoring first half, but Valencia always stayed close. Even after Laboral opened up a double-digit fourth-quarter advantage, Valencia challenged, however the hosts provd too strong down the stretch. 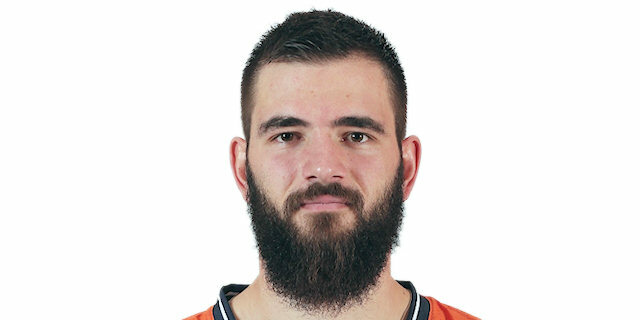 Shengelia turned a strong layup into a three-point play that Pau Ribas answered with as many in one shot for Valencia. Bertans strung together a jump shot and a dunk off a loose ball to push Laboral in front 7-3 before Nedovic blasted a corner triple to keep Valencia close. 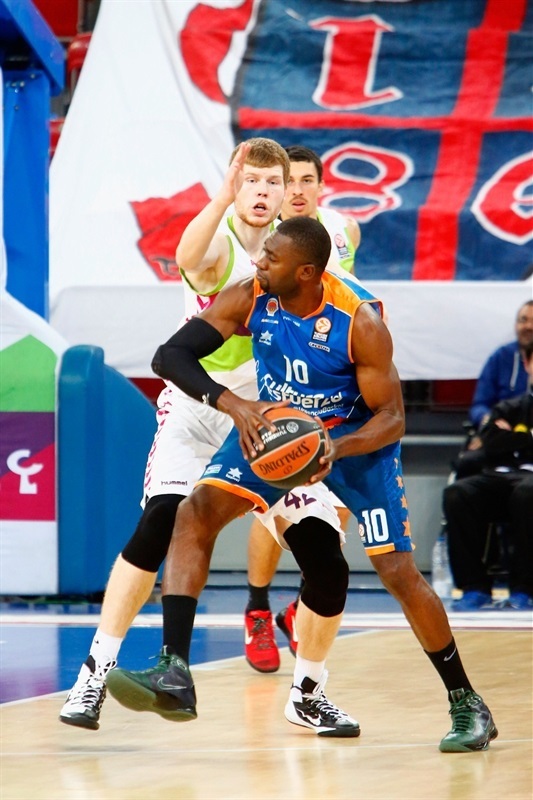 Iverson scored inside, then Shengelia went back to the line to lift Laboral's lead to 11-6. Nedovic answered with a steal, layup and the bonus free throw for Valencia, but Shengelia got an easy put-back at the other end. A perfect 4 for 4 free throws by Ribas and Luke Harangody forged a 13-13 tie that Shengelia broke with another put-back. Nedovic stayed perfect at the line, but so did Iverson for Laboral. Pablo Aguilar powered in an offensive rebound that Iverson matched but a fourth consecutive tie, 19-19, came on Dubljevic's first basket inside. 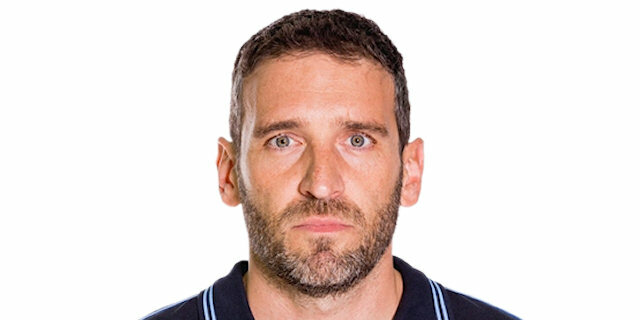 Fabien Causeur followed a nice floater with 2 free throws, while Aguilar and Guillermo Vives combined with a put-back and a three-pointer to give Valencia its first lead, 23-24, entering the last minute. Kim Tillie scored then, then Sasha Vujacic lifted home team with his first three of the night to close the first quarter with Laboral leading 28-24. Valencia switched to zone defense starting the second quarter, stopping Laboral until Aguilar hit from downtown to bring Valencia within 28-27. San Emeterio amended that with his own three, which Euroleague newcomer Mike James copied to boost Laboral's lead to 34-27. Vives responded from the same distance, but Valencia allowed too many offensive rebounds that San Emeterio, Causeur and Tillie took advantage of for a 6-0 run to the game's first double-digit margin, 40-30. Harangody came to Valencia's rescue with a triple, but James and Causeur found the way to break the zone and keep Laboral at a comfortable distance. 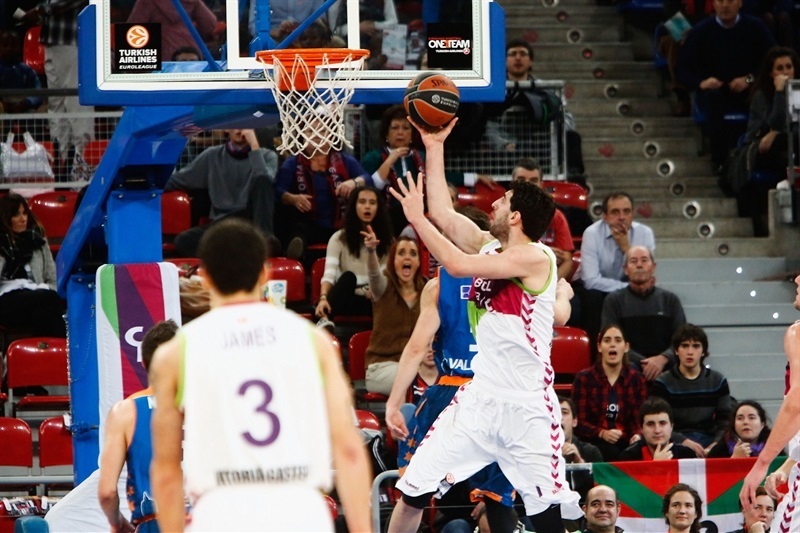 James and Romain Sato exchanged baskets before Mirza Begic exploited Valencia's foul trouble to score inside. When Causeur converted a steal, the Laboral lead was back into double digits, 51-40, forcing a Valencia timeout. Dubljevic soon responded with a nice low-post move. Sato added his own to get free throws and cut the difference then buried a great three-pointer to cap a 0-7 Valencia run to get within 51-47 at intermission. Both teams remained scoreless for the first minute of the second half, showing a great defensive attitude. Ribas fed Dubljevic inside to make it a 2-point game, but Shengeila responded quickly to break the hosts’ scoring drought. The game had changed, losing the offensive excellence displayed in the first half by both teams. Dubljevic and Causeur exchanged baskets, followed by a three by Ribas and a one-legged bank shot by San Emeterio to keep the game tight at 57-54 midway through the quarter. San Emeterio hit again after the timeout, and Laboral found some air later with another layup plus foul by Causeur. 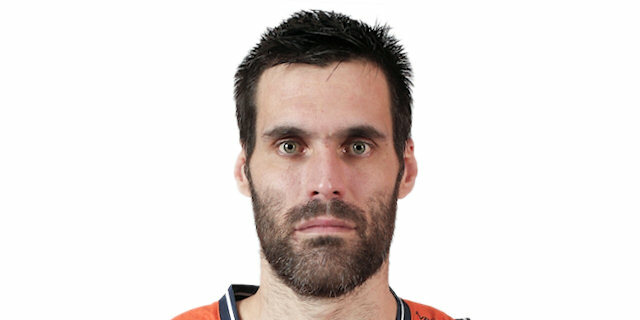 Ribas connected from downtown to prevent the home team from escaping, after which Nedovic brought Valencia within 62-59 with two minutes to go. Shengeila added another point from the line, followed by San Emeterio to build a 6-point lead. Lucic came to the rescue with a smooth short jumper, but Valencia was unable to prevent Laboral’s perimeter players from driving and scoring with ease. Causer punished Valencia again, Loncar added one from the line and Iverson dunked to close the quarter with a 69-62 edge for the home side. San Emeterio opened fire with an acrobatic layup, while Valencia missed consecutive threes until Vives came to the rescue to hit his third three to keep Valencia alive, 71-66. Shengelia drew the fifth foul from Loncar but added just 1 from the line. A deep three by Bertans followed that brought the fans to their feet and forced a quick timeout by Coach Perasovic with Valencia trailing 75-65 with eight minutes to go. Heurtel capped a great drive with a nice assist for a Kim Tillie layup, and even though Dubljevic managed to get a bucket, the Laboral point guard hit a three followed by a free throw coming off a technical foul to extend the lead 81-67 with six minutes to go. Sato dunked off an offensive rebound to avoid an early death and Ribas hit a three right after that to keep his team’s momentum. 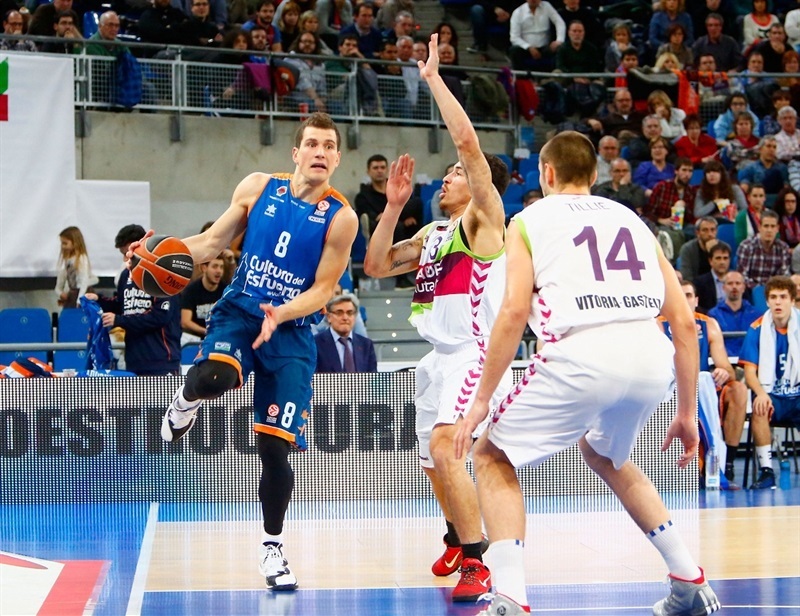 Nedovic found the rim and drew a foul to awake Valencia, bringing his team within 83-77 and forcing an urgent Laboral timeout with three minutes to go. Laboral had lost its offensive rhythm, but managed to keep a short lead thanks to its offensive rebounding, which allowed Causeur to find the line and build an 8-point lead for his team. Dubljevic used the same tool to score as the temperature on and off the court started to pump up. 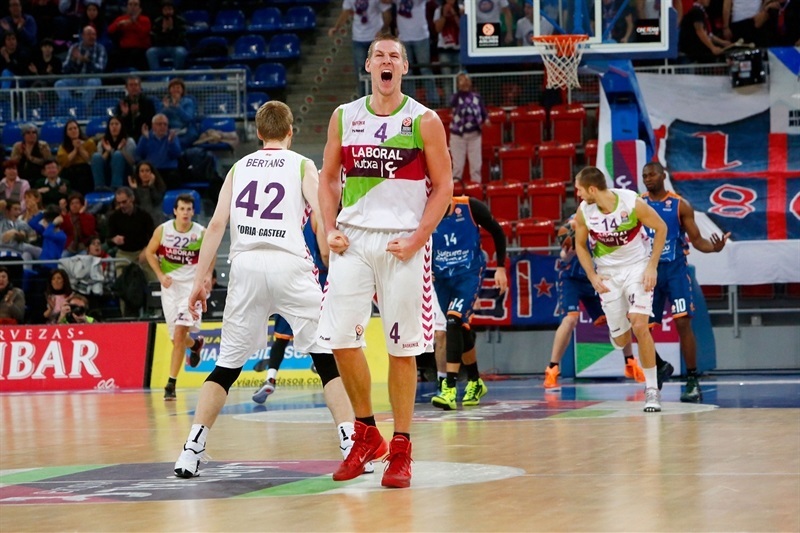 Begic hit 2 free throws for an 87-79 home lead, but Dubljevic answered him again entering the last minute. Vives sent the game to the wire with a layup off-a-steal to bring Valencia within 87-83 with 49 seconds to go, but Shengelia showed up big with an acrobatic layup that saved Laboral from panicking. Valencia found Vives with 27 seconds to go and from then on the visitors tried to cut the margin, looking for fouls and hoping home team miss the free throws. Causeur didn’t doubt, making it 91-85, while Nedovic found a quick layup with 15 seconds to go before Heurtel headed to the line again. The point guard didn’t miss either. 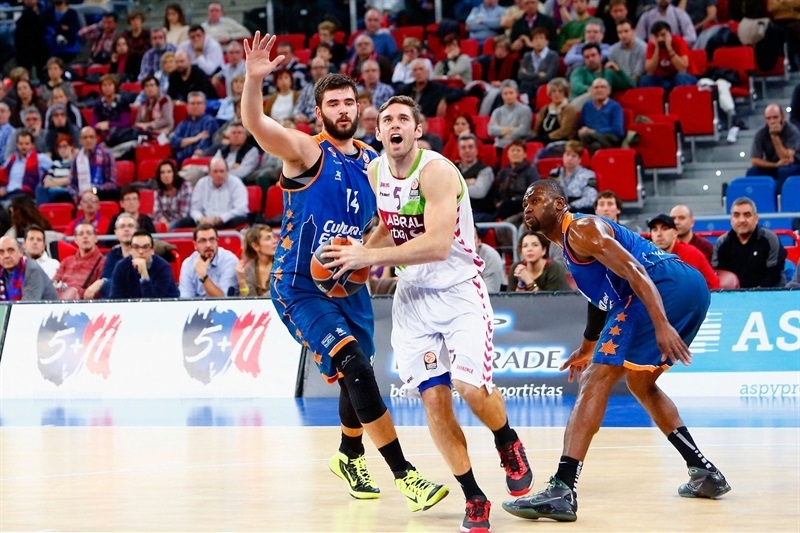 Sato reduced it to 93-89, but it proved useless as the game ran out of time for the visitors, sending Laboral Kutxa to the Top16. "The team understood that some of the things that mattered most were rebounding and being aggressive, and our frontcourt was excellent at that tonight. We knew that if Valencia struggled in rebounding, they wouldn't be able to run and that would help us. It was a long game, and we had to fight against a great three-point shooting, but in the end we were able to win. When you don't have a good day in three-point shooting, you have to understand that you need to look for penetration and our backcourt did it quite well. We are very happy with this win and our qualification to the Top16, but we know we can be second in our group and we will try to achieve that in Belgrade." 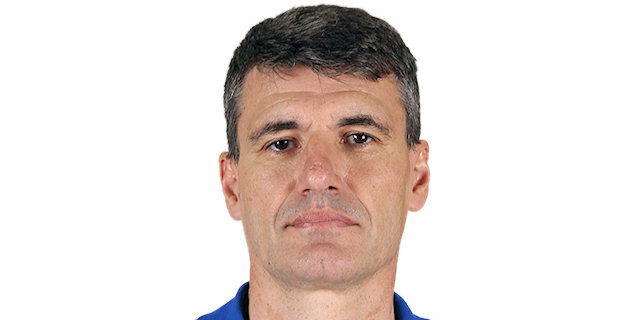 "First of all, I want to congratulate Laboral Kutxa for its win and its qualification to the Top 16. We were unable to find defensive rhythm; we struggled to guard one-on-one situations and to protect our defensive board, which were decisive factors. Even when we played zone defense, they managed to find second-chance points. We have a lot of problems against teams that find the way to hurt us there. We faced a high-scoring team, and they had very good percentages, too many times coming for easy layups off the drive. When you cannot stop that, it's very unlikely that you will have chances to win. We didn't deserve to qualify looking at how we performed in the regular season." "We played a very solid game tonight. We understood what we need to do to win and we prepared it very well. Even though we had to go through some problems over the week, the team made a step ahead, put extra effort and managed to grab the win. We knew it would demand a lot from all of us, and it proved so, but we managed to match their intensity and aggressiveness. We did a good job in rebounding and that helped us to beat them." "We feel terrible now. We hoped to go to the Top 16, but it didn't happen. We are in the Eurocup again and we must forget this defeat soon in order to come strong to the domestic competition and to get ready for Eurocup. We fought hard, we came here to fight, but they were stronger than us and they were able to win."